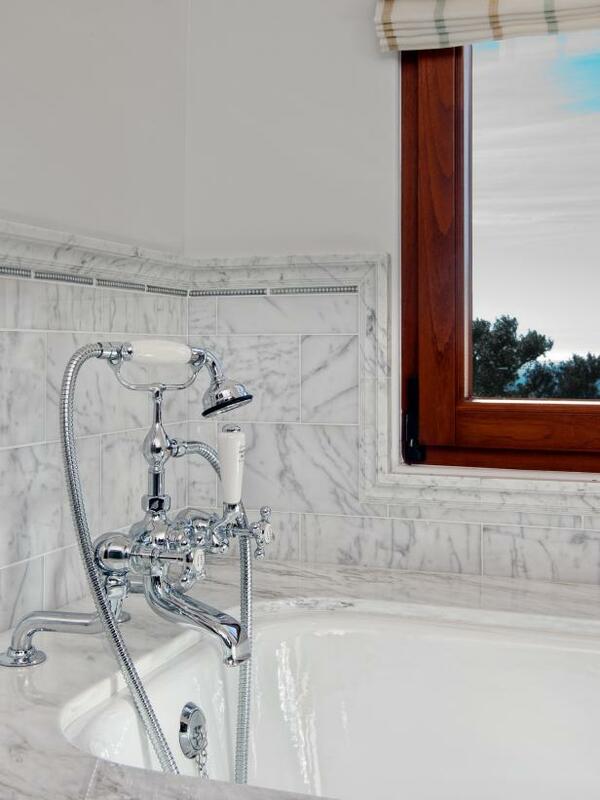 Marble tile in a variety of sizes create an interesting and sophisticated surround to this large soaker bathtub. 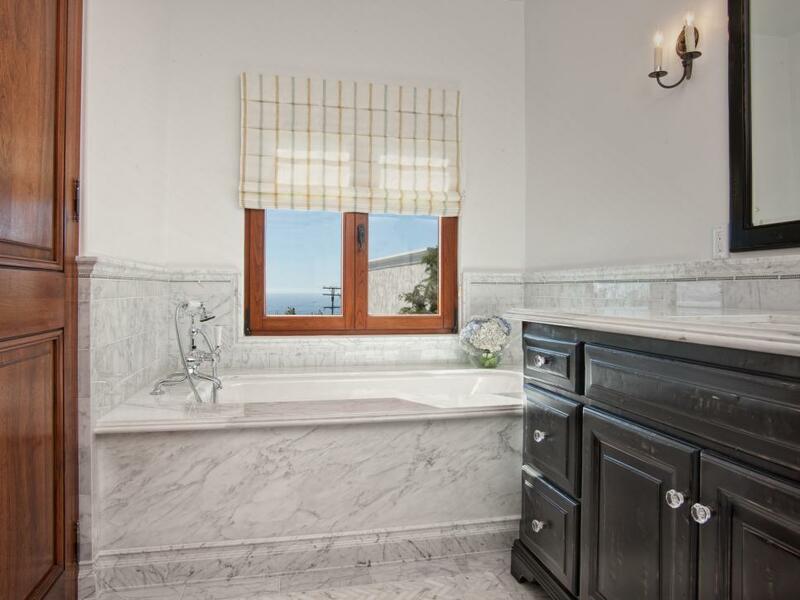 Chrome fixtures add a touch of glam, while simple striped window treatments evoke the home's French Provencal style. 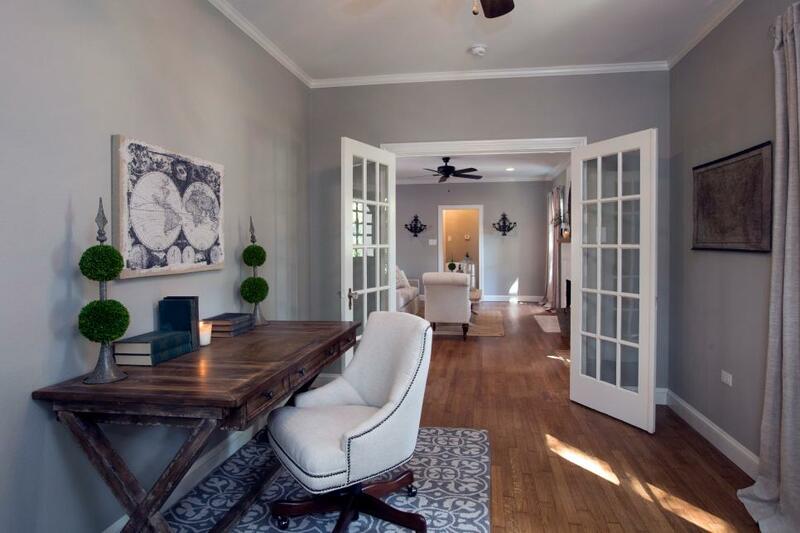 Fixer Upper hosts Chip and Joanna Gaines painted one wall a neutral gray and brought in shiplap for a feature paneled wall, matching detail in other parts of the home. 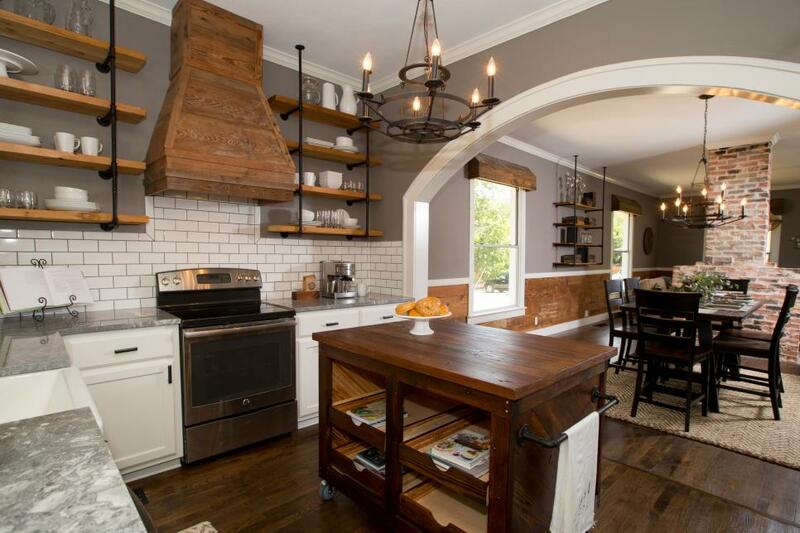 A white subway tile backsplash and quartzite countertops add a modern element to the rustic space. 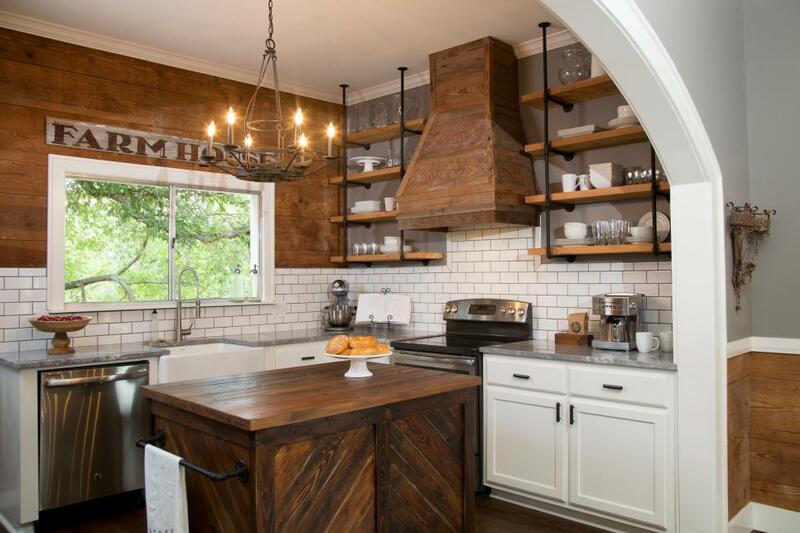 Industrial-style shelving made from plumbing pipes and wood planks offer open storage, and a custom kitchen island made from vintage wood contributes style and utility in the kitchen. 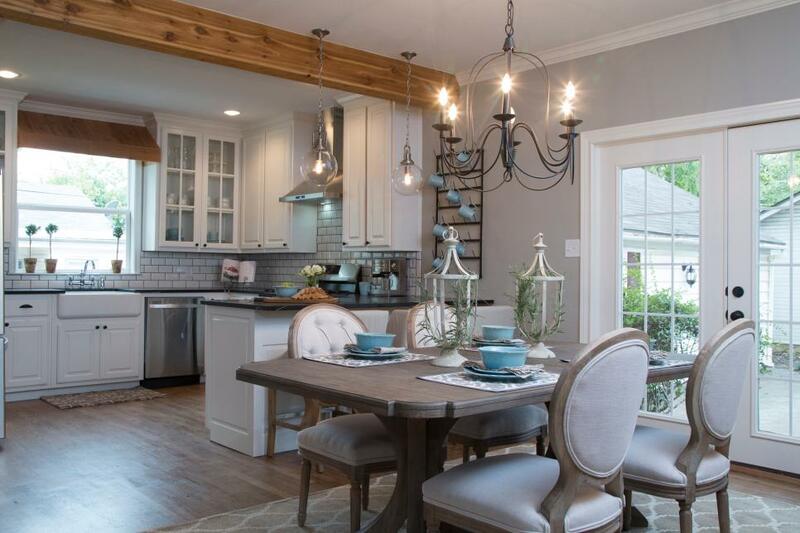 Fixer Upper hosts Chip and Joanna Gaines removed the wall between the homeowners' dining room and kitchen and installed a natural wood support beam in its place. The dining room is illuminated with a metal chandelier and staged with bright, comfortable chairs and a dining table set with blue plates and French Country accessories and greenery. 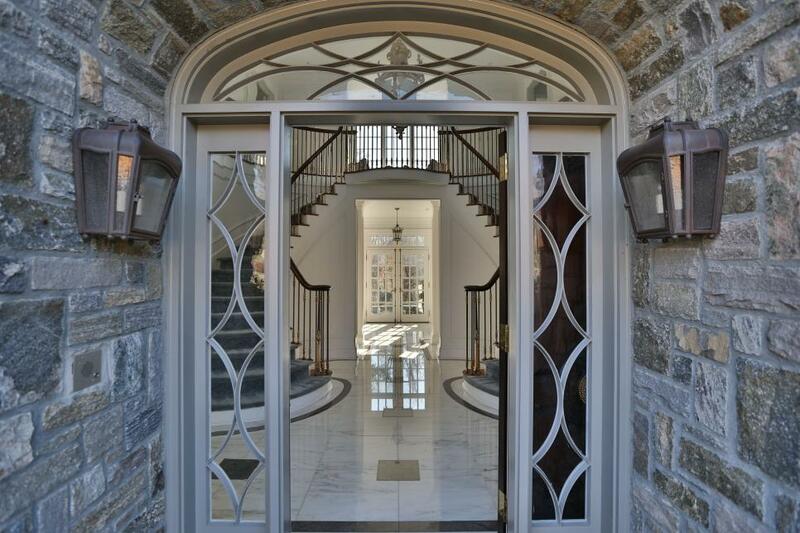 The new French doors open to the backyard and offer additional natural light. 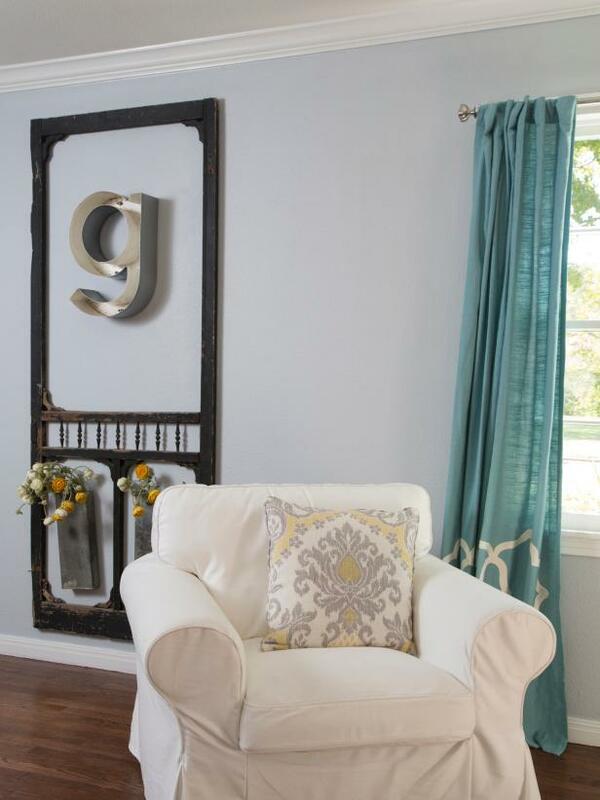 As seen on HGTV’s Fixer Upper, host Joanna Gaines created a personalized piece of art for this living room using a metal letter “g” framed with an old screen door. 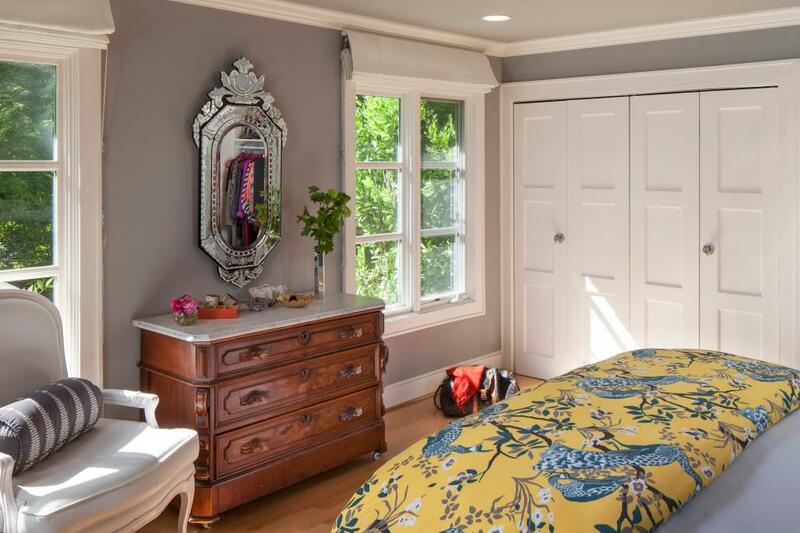 A slipcovered white chair and country blue window treatments enhance the room’s French Country style. 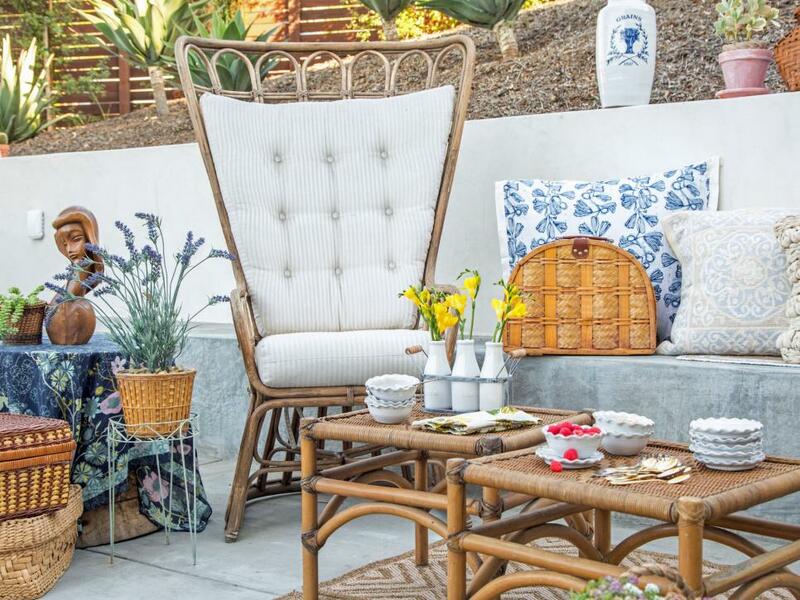 Easily create a French-inspired vibe with textiles, pillows and wicker decor. 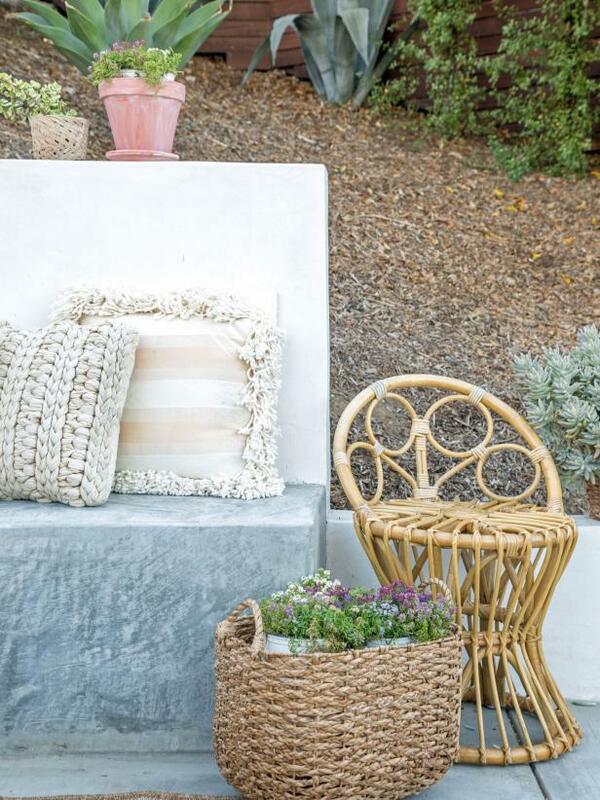 Use a tablecloth on your existing side table. 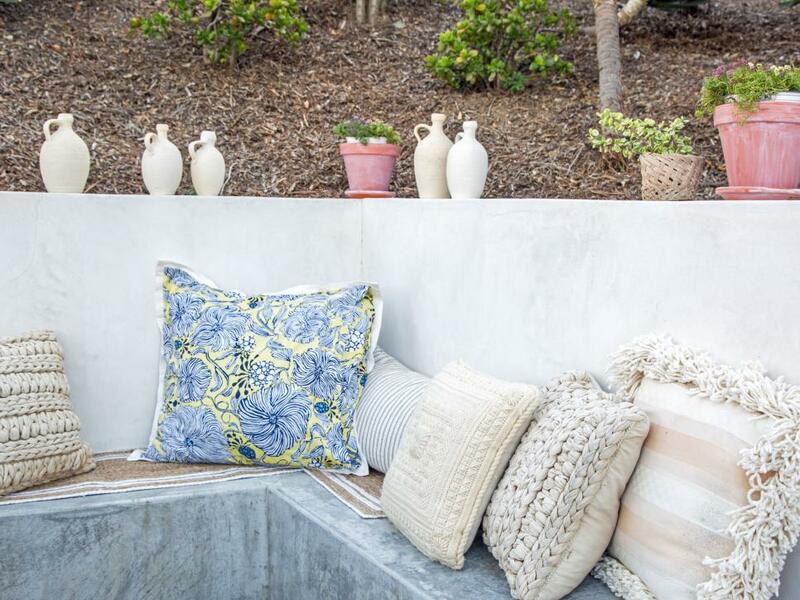 Large Euro shams are perfect to use on Euro pillows, and can easily be switched out and washed. 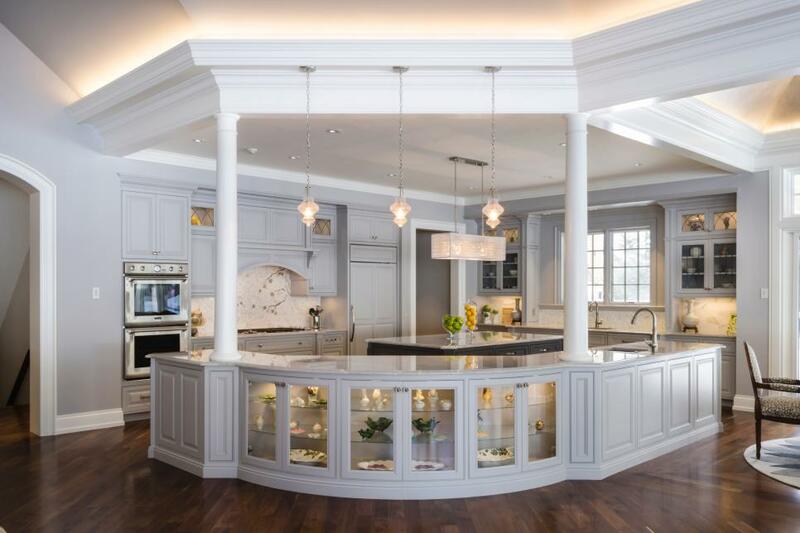 A curved bar with glass cabinets creates a surprising visual centerpiece to this elegant open floor kitchen and provides a fun place to showcase glassware. Pillars break p the space from Callcatta Quartzite countertop to ceiling, which appears seemingly detached due to the illumination from recessed lighting in the molding. 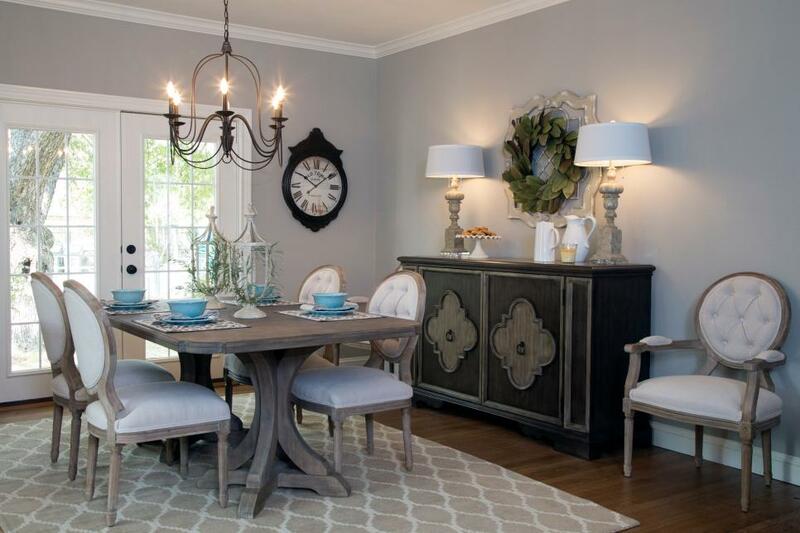 Shimmering pendant lights and chandelier illuminate the floral accents and island. This contemporary French country kitchen exudes simple, timeless elegance. 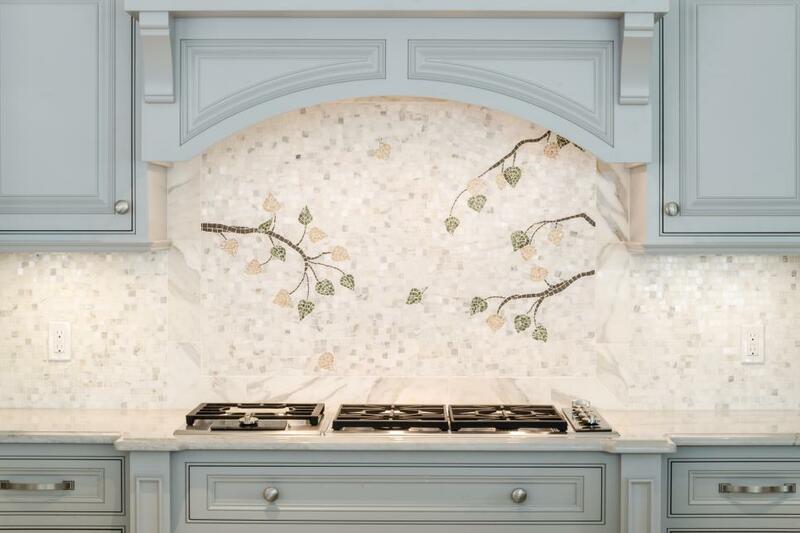 delicate quartzite countertops and gray cabinetry present the perfect focal point for the floral mosaic tiling. 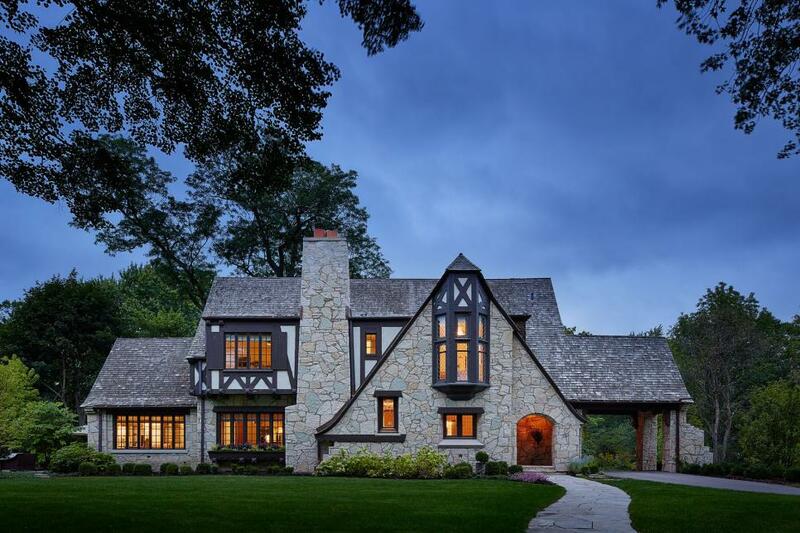 This elegant country kitchen is good for more than cooking and eating. 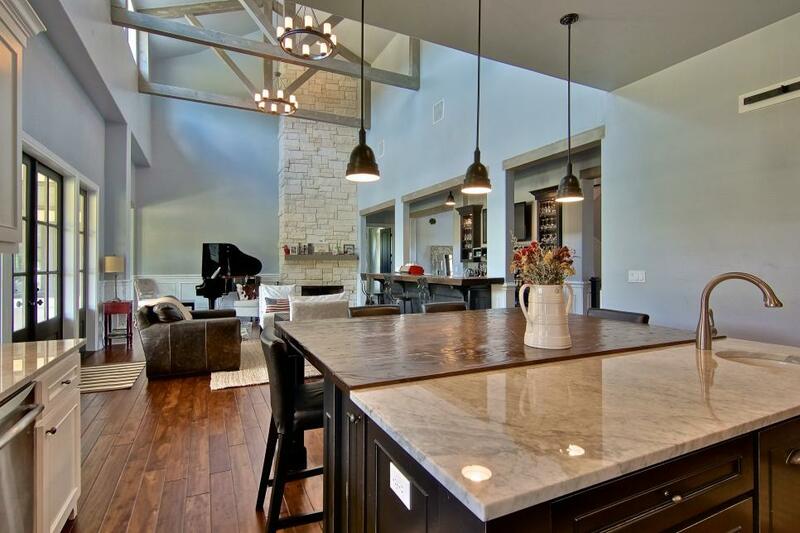 In order to separate the food space from the work space, the kitchen island was divided into part Carrera marble and part reclaimed mesquite wood. Marble flooring and tub surround create a sophisticated atmosphere in this French Country-inspired bathroom. A traditional black vanity with crystal knobs contrasts against the creamy countertop.